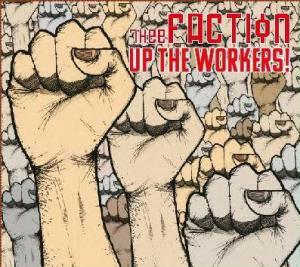 I reviewed Thee Factions previous album At Ebbw Vale, HERE and will review their new album Up the Workers OR: Capitalism is good for corporations; that's why you've been told socialism is bad all your life, in the coming days. In the meantime, if you would like a free copy - I have one to give away! To claim it, send me one sentence on how you are fighting capitalism, to plottracer@googlemail.com. The winner will judged by me to be the person who has a suggestion that we can all take up and use. Ends 18 August.